Description: Plum/Raspberry colored glass shades trimmed in swooping scallops of Amethyst hues accented by sparkling Amber jewels and Clear granite glass. 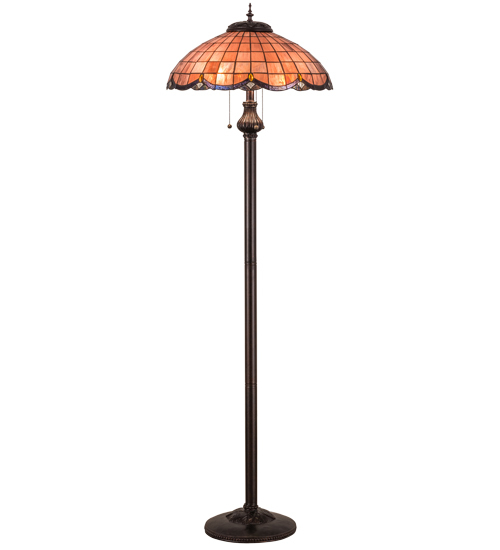 This floor lamp features carved leaves in a Verdi Washed Ebony finish. The early 20th Century inspired motif, re-explored by the Meyda Tiffany design team, integrates Art Nouveau with Victorian.